Oodles of noodles await in East Hampton. Momi Ramen, a year-round restaurant specializing in the simple Japanese dish that is noodles with small pieces of meat or vegetables in broth, opened in June. 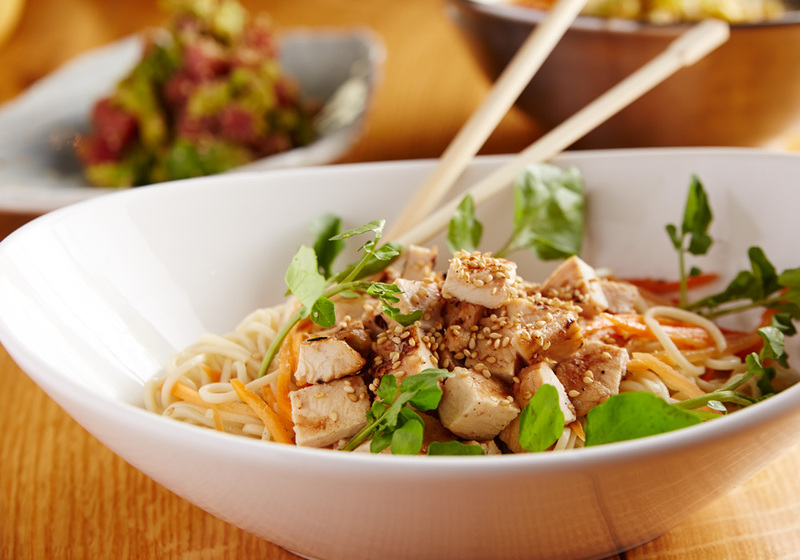 The all-ramen-all-the-time entrée enterprise is the second Momi Ramen. 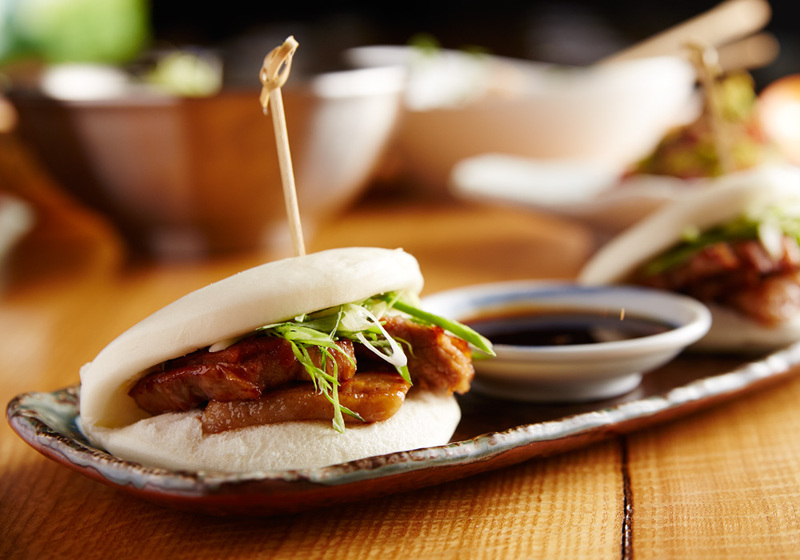 The first is a very successful Miami restaurant and both are part of a nationwide ramen rage; a boomlet that includes smaller cities, not just the big metropolitan areas. Momi Ramen, which replaces Turtle Crossing at 221 Pantigo Road, is an austere, sophisticated, minimalist and all-black spot of high-beamed ceilings with striking modern lanterns, bare black tables and two dining rooms featuring long communal tables. Friendly, concerned, black-clad servers are always pleasant, but not always on point (our entrées arrived while we were still eating our appetizers, for one). Momi Ramen makes fresh noodles around three times a day using press equipment from Japan. Additionally, two huge kettles of tonkotsu broth (each with over 80 pounds of pork bones) are filtered and simmered for 15 hours daily. However, all these efforts deliver mixed results. Appetizers were more popular at our table than the ramen main events—there is an interesting list of 15 diverse non-ramen possibilities. The six or seven gyoza ($10) or pan-fried pork and vegetable dumplings were as tasty as anything we sampled with the exception of the tender soft hunks of braised short rib marinated in barbeque sauce and perched on a crisp, crunchy bed of thin fried ramen ($16). The small square of grilled, organic salmon with soy sauce and mustard marinade ($16) and the snow crab salad with wakame seaweed and tobiko roe tossed in truffle oil ($15), both passed muster. However, although they are listed under shared plates, the consensus of our group was most dishes were too small for their substantial prices. One diner, only half in jest, suggested “getting a pizza on the way home.” The ramen’s pork and bone marrow broth seemed subtle to some, bland to others. But the oxtail ramen ($20) was a tasty winner. Cold crab and ikura ($20) was (except for a smidgen of snow crab) a tasteless disaster, much like eating cold spaghetti. Two desserts were in the same calamitous category. A Japanese chocolate cheesecake ($9) that generated neither flavor will not strike fear into Junior’s acclaimed version. The ice cream sandwich was simply two soggy, very cold pancakes around ice cream. 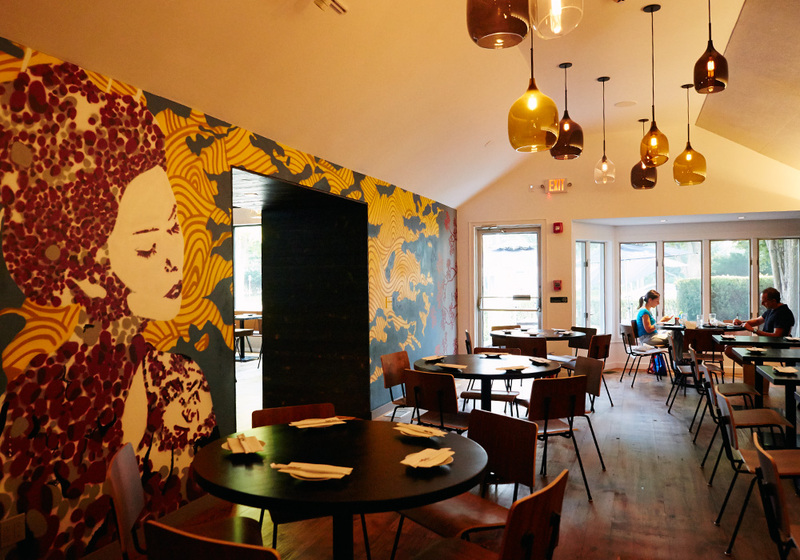 Despite the bumps, Momi Ramen is serving food not available elsewhere in the Hamptons. It is a novelty number that will appeal to those looking for the unusual who appreciate mild, rather than robust food.